The Chinese man-made islands have been a growing issue for many countries in Asia and around the world, especially for the United States and Japan. China’s man-made islands have been growing rapidly over the past few years, going from a couple of acres to 2000 acres. This makes it extremely annoying and difficult to get through the South China Sea without getting a warning to leave by the Chinese government. The U.S., specifically Navy Admiral Scott H. Swift, visited Beijing on November 3rd 2015 saying, ”It is not a problem and it will not ever be a problem for the U.S. Navy to patrol around the South China Sea.” China still warned the U.S. to not send ships near the islands or planes, but the U.S. has not shown any sign of stopping their patrols. U.S. officials worry that the buildup of these 5 man-made islands shows their control of the rich water around the islands that the Philippines, Malaysia, Taiwan, Brunei and Vietnam also claim is theirs. The U.S. is also concerned due to the fact that soon, China will be able to make airfields on some of those islands giving them almost air dominance around the South China Sea. 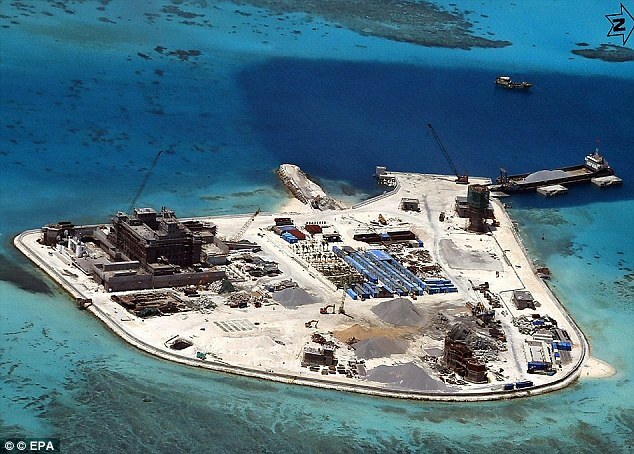 The aspect that is even more concerning about these islands is that it allows the Chinese nuclear submarines to go closer to countries that the U.S. is allies with, like India, which showed great concern to the Chinese nuclear submarines being in the Indian Ocean as well. The man-made islands also show that it seems there is a war effort against most of the countries around China like Japan and India- they have radar on these islands to look at all the things these countries are up to taking away their feeling of security and taking away their privacy. China has added naval guns and antiaircraft weaponry on these islands and is soon to have a military air force run way all pointing toward the worst. Countries like the U.S., Japan, India and the Philippines have to start taking action before a conflict arises or a war even starts, because the longer they take to act, the closer Asia comes to going to war. Next articleUntapped Potential or Zombie Maker?